Has the Thames always looked like it does today, confined to the same course, muddy, brackish and tidal? Through analysis of the archaeology investigated along the Crossrail south-east line, which diverts from the main west–east route across the Thames floodplain from Stepney Green to Abbey Wood, this book tells the story of the lower Thames throughout the Holocene (from c. 10,000 years ago to the present). At six sites along the route, geoarchaeologists were called in to assist with understanding the deep floodplain sediments, the environments they reflect and how, if at all, the Thames has affected (and been affected by) the people who lived along its banks through the ages. 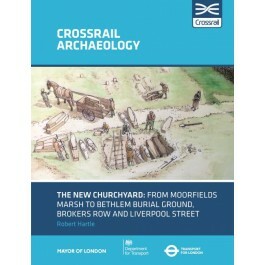 Introducing the techniques and theories used in geoarchaeology, this book uses the platform of the Crossrail sites to understand the wider, lower Thames area from Erith to Greenwich, Canning Town to Hornchurch. The Thames has suffered the fate of many other river systems across southern Britain, but the story of its transformation is remarkable and relevant today.